Ideal for use on dark fabrics, Speedball opaque fabric screen printing inks come in 10 colors and add stunning, iridescent effects into prints. Great for use on paper and Cardboard too! these inks offer perfect opacity without sacrificing any workability or softness of the fabric and are permanent on fabrics once properly heat set/cured. Non-flammable and contains no offensives smells or solvents - soap and water cleanup. 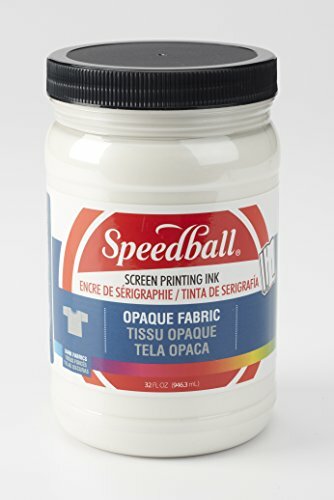 Speedball Water Soluble Screen Printing Ink white 8 oz.